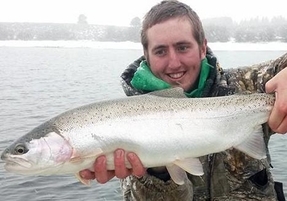 The end of 2015 is near and what an epic year we have had at Henrys Fork Anglers. The Fishing throughout the season was great considering less than perfect water conditions. As I watch the snow fly today and look at the snow pac levels I am encouraged but we have a long way to go before we are out of the woods. As of this writing we are 100% snow fall average. That’s great to see but keep your fingers crossed that it continues. I would like to see this continue until about March! Island Park is beautiful this time of the year and there is great fishing to be had. Even today I am watching large trout eat midges right across the street! You have to pick your day for sure. Look at the weather before you come up and watch for temps to get up around 30 degrees. Depending on the day you will find trout up eating midges. If the fishing isn’t great come in the shop and rent some cross country skis or snowshoes and go check out Harriman Park. It’s beautiful and there are plenty of groomed trails. It’s beautiful and a great way to spend a day with your family or friends. The new fishing regulations are out with a few changes for the 2016 season. Vernon Bridge up to Ashton dam will be open year around but restricted to catch and release until the general season opens on Memorial Day weekend. The Henry’s Fork will also be open year round from the south boundary of the Harriman Park downstream to Riverside Campground. Another change that we are excited about is the current limit of 6 trout of any size will be reduced to 2 trout over 16 inches from the Del Bridge east of St. Anthony downstream to the confluence. This regulation is long overdue and it matches up this important section to the other stretches of the river that are not restricted to catch and release. Ice fisherman don’t forget that Henrys Lake will close January 2nd until the general season opening on Memorial Day weekend. Also remember that Harriman Ranch is now closed until June 15th. The Box has been awesome. Large Trout are chasing streamers! Access to the dam is great and wade fishing is very productive. I have been fishing from the dam and wading down to Will’s Run and the fishing for the most part has been very good. The key is watching the weather. 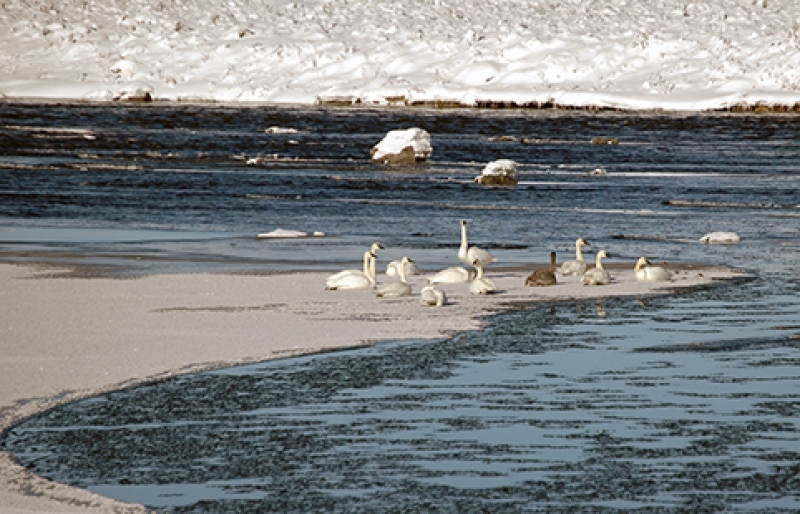 Daytime temps hovering around zero makes for a tough day on the water. 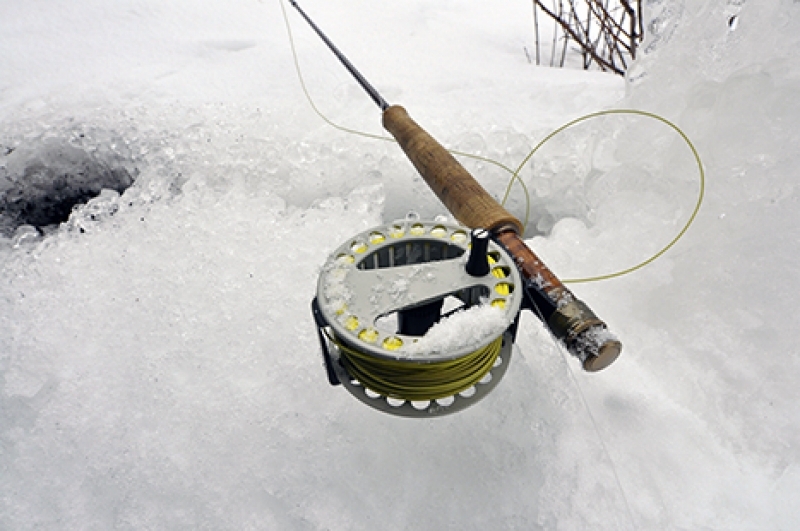 Cleaning ice out of your guides and freezing fly lines is no fun with cold fingers. If temps get up around 25 to 32 degrees you will still be cleaning ice out of your guides but not every cast and the fishing is going to pick up! Look for midges to hatch and when you see bug activity and fish little beads. A #18 black Zebra Midge will get lots attention by greedy trout in the Box. I would definitely bring your streamer box with you if you’re going to visit the box! Mikes Olive Wool Head Sculpin is my favorite when fishing the Box this time of the year. Slow down your strip which allows the fly to drift deep. Warm River to Ashton continues to be a fish factory. Black Rubberlegs and a Red Zebra Midge seems to be the pick of the month in this section. You will be sorting through lots of whities and smaller trout but stay with it as some large trout are being caught in this section. The lower river has been great! Concentrate your efforts in back waters where large pods of trout are eating midges. Griffith Gnat in #18 or #20, small red and black Zebra Midges will also do the trick. The Teton has also been fishing very well. 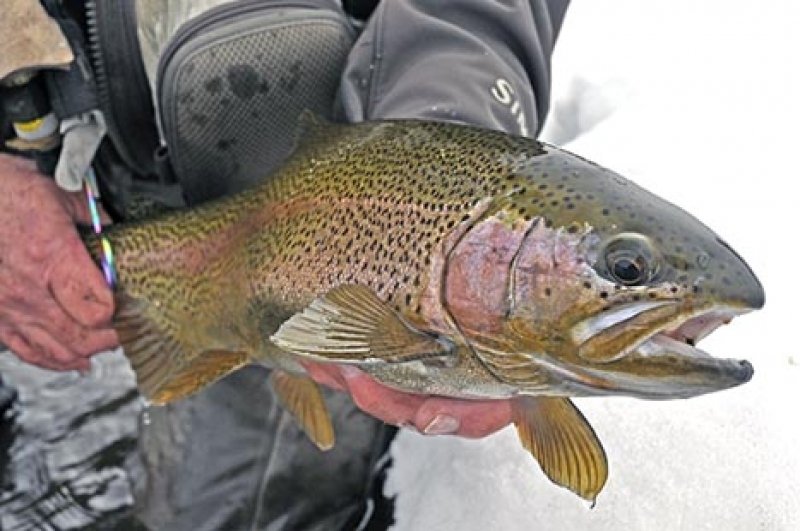 The Idaho Fish and Game has removed the limit on rainbow trout in the Teton and its catch and release only on the Cutties. Also all tributaries are open until June 1st thru June 30th for the Cutthroat spawn. Access is getting to be a little tough on the Lower Teton with large sections of the river are frozen over. Please be careful if you’re going to fish the Teton this time of the year. The South continues to fish well. Large Trout are being caught on streamers. The key is to slow down your presentation. Swing your streamer off the bank rather the strip it. Also fish are being caught on midge patterns both on top and underneath. #16 Green Zebra Midges and Red Zebra Midges have been working very well. Keep in mind the South Fork is only running about 900 CFS and if you’re going to try to do the canyon the Cottonwood access is closed so you’re going to have to take out at Byington. There are shorter floats on the upper end and with flows being as low as they are wading the South Fork is a great option this time of the year. As the snowpack increases many access points will not be accessible. 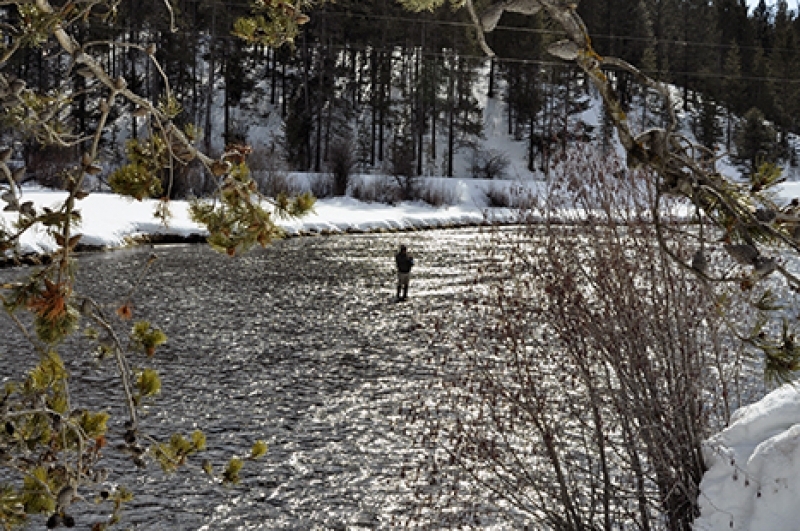 One of the best kept secrets for winter fishing is the Madison River. The section from the Hebgen Dam to Quake Lake is open year round. 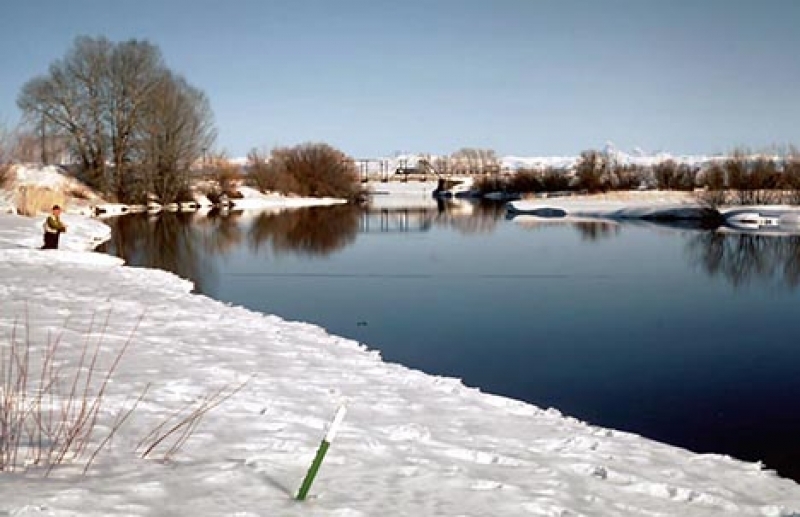 This short tailwater stretch can provide exceptional fishing during the cold winter months. The stretch below Quake Lake downstream to McAtee Bridge is open until the end of February. The dry fly fishing might surprise you, especially in the small quiet water near the rocks where large trout eagerly feed on midges. You can also score with small bead head and rubberleg nymphs. Streamers can also produce. Remember to slow down your retrieve so the fly will swing deep. Don’t expect hard strikes. In most cases the line will just stop. Reynolds Pass Bridge is only 37 miles from our shop in Island Park, only six miles further than from West Yellowstone. You’ll need a Montana fishing license. We have them. You might be surprised to find the Madison can fish better in the upcoming winter months than in the peak of the summer.